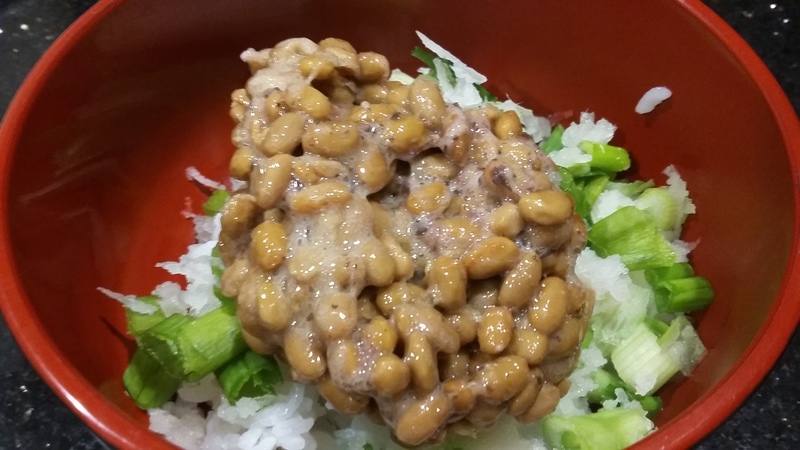 Natto ( sticky beans ) with daikon radish, green onion, Japanese apricot and rice. This entry was posted in American Life, Cooking, Food and tagged American Life, Food, Natto Cooking by nikotakahira. Bookmark the permalink.